Are you all sick of reading about chocolates yet? I hope not, because this past week, I passed the "I've-eaten-more-than-1,900 different-chocolates" mark (over a period of more than five years). When I started this chocolate adventure, I thought I'd run out of chocolates to try. However, there is almost no chance of that happening. So, join me as I carry on this daily practice into 2012. 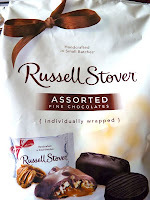 On to today's chocolates: two, individually wrapped pieces from a large, Russell Stover (based in Kansas City, Missouri) assortment bag that contained four different flavors. I chose the Coconut and Caramel pieces -- because this is Day #6 of Chocolate + Coconut + Caramel Theme Week. Of the two, I preferred the Coconut covered in dark chocolate; however, eating both pieces together seemed to improve the flavor of both. Russell Stover is (according to their website) the largest manufacturer of boxed chocolates in North America. 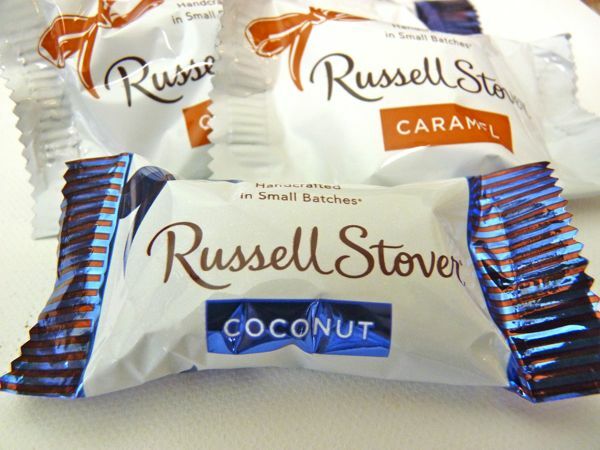 Russell Stover and his wife Clara first cooked up small batches of chocolates in their Denver, CO, bungalow in the 1920s; the company has evolved significantly since then. 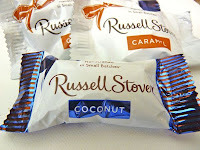 I've found the quality of Russell Stover chocolates to be fairly consistent over time. 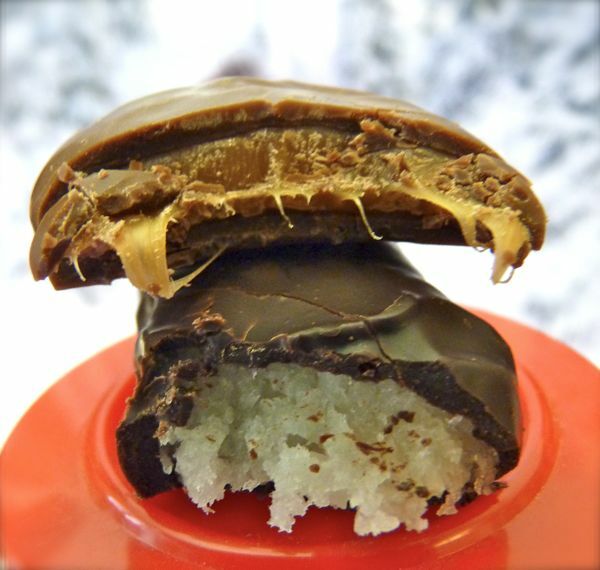 This may or may not be because of preservatives, or rapid turn-over on store shelves (resulting in fresher chocolates). As companies grow this big, I'm guessing they have all their production and delivery processes down to a science. According to a Funding Universe article (from more than 10 years ago), Russell Stover maintained their own line of refrigerated delivery trucks, to help ensure freshness.